Keyword research has become increasingly difficult as Google continues to hide more information from webmasters. If you are new to the world of SEO and online marketing, you may not remember a time when you could see every keyword that drove traffic to your site through search engines and the amount of traffic each keyword generated. Unfortunately, more than 90% of that information is no longer provided. The good news is that search engines are much more smarter than they used to be and are able to understand the intent of what a user is looking for without having to use “exact match” search results. Because of this, content publishers can focus more on the experience of their readers rather than the keywords in their content in order to be found in the search engines. With that being said, using appropriate keywords in your website and in your content remains extremely important and can still be useful in achieving greater search engine ranking. Let’s explore some methods that are still available to webmasters and SEO experts that can be extremely useful in identifying the best keywords to optimize your content with. While you may be thinking how difficult Google is making your life by not providing valuable keyword data, there are still features like Google’s auto-fill feature that can help searchers complete their thoughts and at the same time provide Valuable keywords for webmasters. Searchers often start by writing a particular query only to end up choosing what Google auto-fills in the search box. This is the best place to start your research, as you most likely want to know what type of content already exists on the topic you are working on. 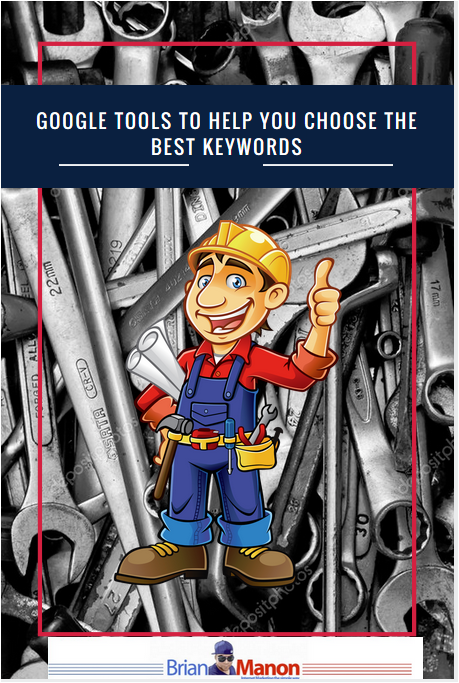 This is also a useful method in identifying long-tail keyword phrases that may be harder to identify in keyword planner tools. Who better to give you suggestions on keyword opportunities than Google? Like the auto-fill function, Google provides “related searches” at the bottom of most SERPs or “search engine result pages.” This should also be one of the first things you look at when starting Keyword research. Do not be afraid to look for multiple variations of keywords and keyword phrases. This is also a useful exercise to help you begin to understand how the search engine is thinking about certain words and what words are being associated with each other. The Google Adwords keyword planner is where most webmasters start their research. You can start by searching for a new keyword of your choice. Keyword planner displays the average monthly searches, competition and suggested offers for the keyword you wrote down, as well as other suggested keywords and phrases. The number of alternative options usually depends on the popularity of the topic. There is a place where real webmasters live: Google Search Console . This is where the main queries are being made, as well as the web pages that are obtained through the searches. You can find the top queries that have driven traffic to your site over the last three months with this tool. You can also see content that has driven the most traffic to your site for the same amount of time. Google Trends can be useful for choosing the right variation of a particular keyword. This tool will show the “general interest over time” of a keyword and also includes a forecast for certain terms. Interest over time is represented as a number between 0-100 at certain points over time. It reflects how many searches have been done for a particular term in relation to the total number of searches performed on Google over time. They do not represent absolute search volume numbers. While most of the keyword data found in the Google Analytics organic section is labeled as (not provided), there is a section under ” Acquisition ” that contains 3 months of good data. In “Search Engine Optimization” → “Queries”. This information is similar to what you’ll find in Google Webmaster Tools. The advantage of seeing this data in Google Analytics versus Webmaster Tools is the improved ability to compare previous months of data, including impressions, clicks, and click through rate. Even with Google hiding most of your keyword data in Google Analytics, there are still many resources that Google offers (free) that can be extremely useful for webmasters and SEO experts to identify relevant keywords to optimize their content. Start by using these tools to help identify useful topics and keywords, then create and share content that is highly appealing to your audience. Remember, if your content is not useful and shareable, it does not matter how many keywords you can identify. The goal, above all, is to drive traffic to your content and that others share and naturally link to your content. Such a helpful resource! Thank you for sharing. Interesting. Thank you for sharing!!! I am wondering this,…how many keywords or long-tail keywords should we put into a blog post? This is a subject matter that many bloggers need more information. Appreciate the informati! Super good tips. Thank you for sharing. I will look into this. Your site is so helpful! I’m just starting my own site and you articles have been really great at breaking down a lot of this complex need to know concepts. This is another great one. Saving this to Pinterest as well. Thanks for sharing, I use some of these but can always up my game on this. The autofill is something I’ve never thought of…thanks for the tips! I’ll need to check this out. Thank you for sharing. I just can’t win with google. Hi Brian, high five for such a great list 🙂 I am already using almost all of them for my blog. All the best and keep posting good stuff!